After an incredible tour in 2017, Mystery Science Theater 3000 announces the MST3K Live 30th Anniversary Tour featuring, for the first time in 25 years, original host and MST3K creator Joel Hodgson back in the red jumpsuit as Joel Robinson. Alongside new MST3K host Jonah Heston (Jonah Ray), Joel, Jonah and the Bots will bring new movies and all new riffs and sketches live to the stage across U.S. cities this fall. The MST3K Live 30th Anniversary Tour kicks off October 9 in Portland, ME and hits 29 cities to perform 42 shows across the U.S. Tickets for all dates go on sale Friday, June 8 via AXS.com and local venue box offices. Watch the tour teaser video here. The Mystery Science Theater 3000 Live 30th Anniversary Tour consists of two separate, completely unique shows, each with its own admission, so fans who want to see both shows will need to purchase two tickets, one for each show. Each event will include all the things expected from an MST3K experience: a cheesy B-movie, hilarious riffing, wisecracking robots, silly sketches, plus – for the first time – Joel and Jonah riffing together side-by-side. Both shows feature movies never before seen on the MST3K series. Show # 1 is The Brain, a Canadian science fiction suburban nightmare. Show # 2 is Deathstalker, a fun sword and sandal epic with a horrible monster. 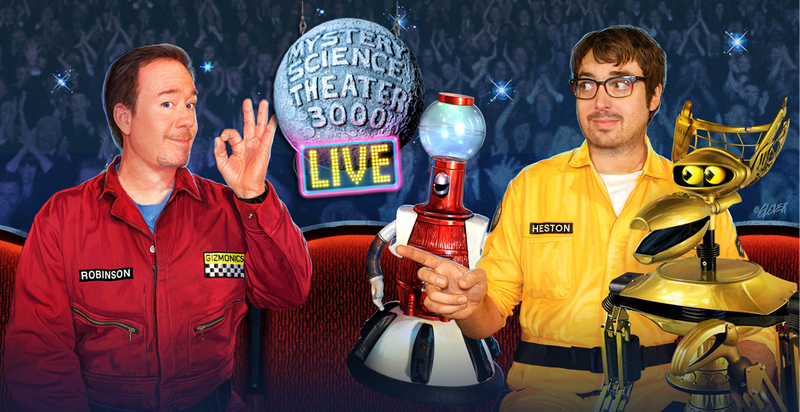 Tickets for Mystery Science Theater 3000 Live 30th Anniversary Tour will go on sale to the public Friday, June 8 at 10am local time via AXS.com and the venue box office. Please note where there are multiple performances in a single market, each event is ticketed SEPARATELY. Get tickets to the 30th Anniversary Tour here!